Great sunny day to you from Serbia!. I'm here for SerbiaFashionweek and Yesterday I attended to the first fashion shows, many designers and in this post I wanna show you the ones that I liked most.Soon my outfit of the day. Buongiorno soleggiato a voi dalla Serbia! Sono qui per la SerbiaFashionWeek e ieri ho partecipato alle prime sfilate, tanti i designer che si sono susseguiti, in questo post vorrei mostrarvi quelli che più mi hanno colpita. Prossimamente il mio outfit della giornata. SANJA VELICKOVIC, I liked her colorful style, research in the forms and the use of color, color, color everywhere, a very cheerful collection and chic too. BELMA TVICO with her elegant and sophisticated dresses, evening dresses for sophisticated women, an interesting use of embroidery to make special dresses and then my favorite piece, the pink bomber with fabric inserts to create a pleated handmade, real elegance and good taste. 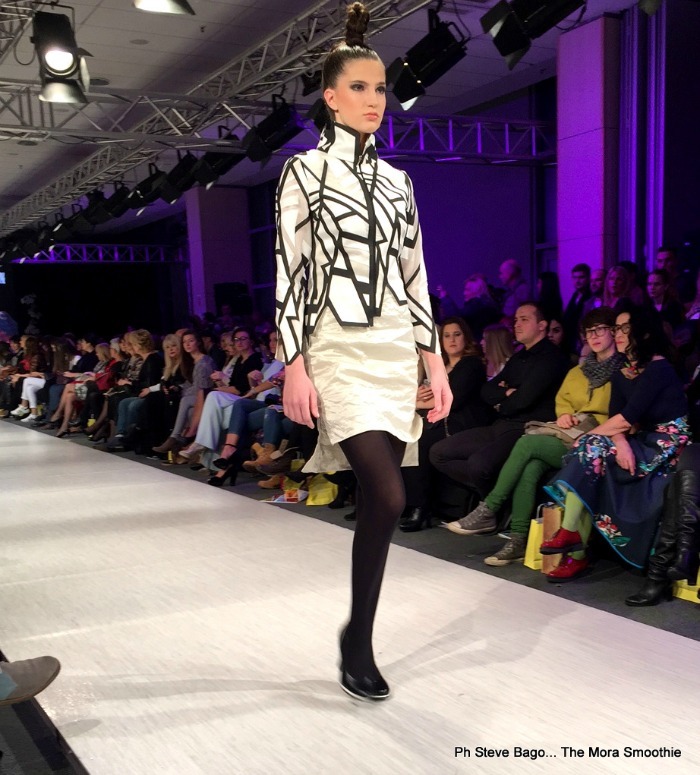 MILENA RADOVIC wearable dresses, where the geometries of black and white are the masters, cut sometimes by following the tissue geometry and other times by creating special and impacting combinations. MLADEN MILIVOJEVIC BARON an interesting and playful fashionshow, color and a return to past years, where the family have been dressed in a style a little bit navy, but never leaving out the details in both men and women and with his innate elegance. ZVONKO MARKOVIC with a dip to the Orient remembering the geisha, but modern and very refined dresses with precious and elegant fabrics. My favorite piece? Too difficult to choose. I leave you with some pics and send you a great big kiss! SANJA VELICKOVIC, mi è piaciuto il suo stile colorato, la ricerca nelle forme e l'uso del colore, colore colore ovunque, una collezione molto allegra e di gusto. BELMA TVICO con i suoi abiti eleganti e sofisticati, abiti da sera per donne sofisticate, un interessante utilizzo dei ricami a rendere particolari gli abiti e poi il mio capo preferito, il bomber rosa con inserti in tessuto a creare un plisse fatto a mano, di vera eleganza e buon gusto. 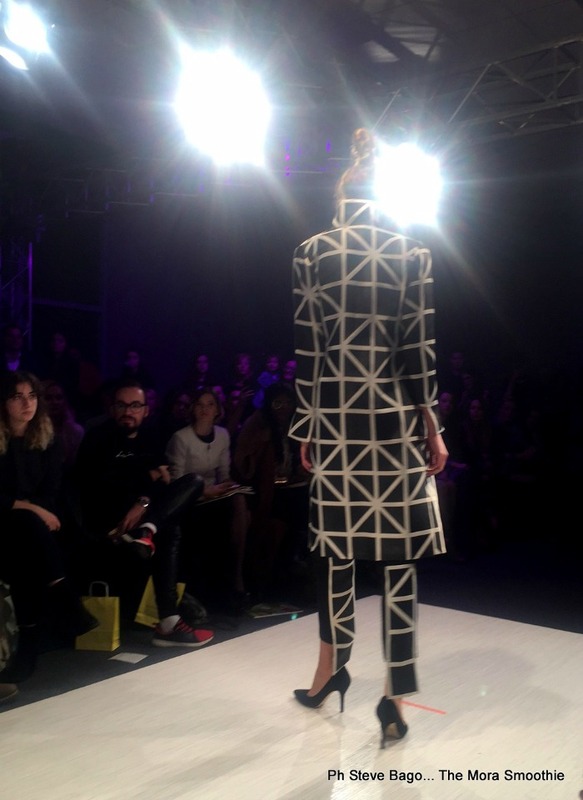 MILENA RADOVIC abiti facilmente indossabili, dove le geometrie del bianco e nero la fanno da padrone, tagliati alle volte seguendo le geometrie del tessuto e alle volte creando degli accostamenti particolari e d'impatto. MLADEN MILIVOJEVIC BARON una sfilata interessante e giocosa, colore ed un ritorno ad anni passati, dove veste la famiglia in uno stile un po' navy, ma mai tralasciando i dettagli sia nell'uomo che nella donna e con la sua innata eleganza. ZVONKO MARKOVIC con un tuffo nell'oriente a ricordare le geishe, ma moderne e molto raffinate, abiti con tessuti preziosii ed eleganti. Il mio capo preferito? Troppo difficile da scegliere. Vi lascio alcune immagini e vi invio un bacio grande grande! Thanks for the marvelous posting! I seriously enjoyed reading it, you can be a great blogger.All the outfits excellent.Just amazing outfit.Really wonderful especially the orange one.I don't know why I am like the outfit so much.But that is amazing looks excellent.The outfits looks so expensive.I think all the outfit are suited me.I also want to participate the Fashion show.Our company best essay writing service going to arrange the fashion league.I ma eagerly waiting for the event.